Hawaii is often times referred to as paradise. Each year, about 7 million people from all over the world come to the Islands to enjoy the sun, the beaches, the rainforests and the mountains. On vacation, people often times don’t think or know of potential hazards and dangers because they are not familiar with the surroundings and natural environment. Sure, some dangers, such as natural disasters often times hit with little warning, and when they happen people can get harmed, but the severity and outcome of such events can be difficult to predict. However, in many other cases, accidents can be prevented before they even occur, if one takes precautions and is educated about the potential dangers of a place. 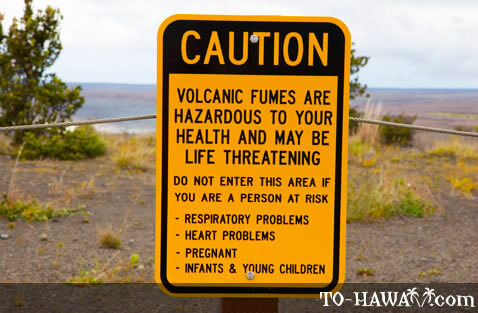 Here is an overview of things to watch out for when vacationing in the Hawaiian Islands. Flash floods can occur during or after heavy rain. If there was recent heavy rain or it is currently raining, avoid hiking near a stream, waterfall, or pool of a waterfall. Flash floods can happen very suddenly and you can be swept away by strong currents and large amounts of water gushing down a mountain or cliff. Before hiking, always check the weather forecast to see if heavy rains have occurred or are forecasted in the area. Example: Oheo Gulch (Seven Sacred Pools) on the island of Maui – Flash floods have occurred here and on several occasions people have been dragged all the way into the ocean where they drowned. Rockfalls can happen anytime, but occur most often after recent heavy rain. Avoid hiking at the base of cliffs and at the pools of waterfalls, especially during and after rainfall. 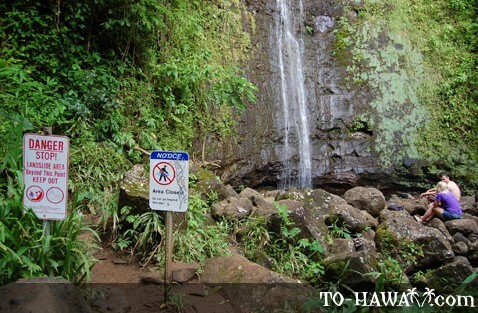 Example: One of the most tragic rockfalls occurred at a popular waterfall called Sacred Falls on the island of Oahu. It was Mother’s Day, 1999, when a rockslide killed eight people and injured 50 others. Up until today, the popular hiking trail that leads to the waterfall, which once attracted 55,000 people a year, remains closed. 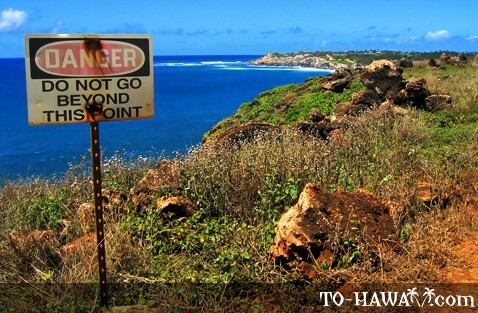 It was one of the worst wilderness accidents in recent Hawaii's history. The Sacred Falls tragedy should serve as a reminder that similar rockfalls can happen in other areas as well, no matter how picturesque and tempting to visit they may be. 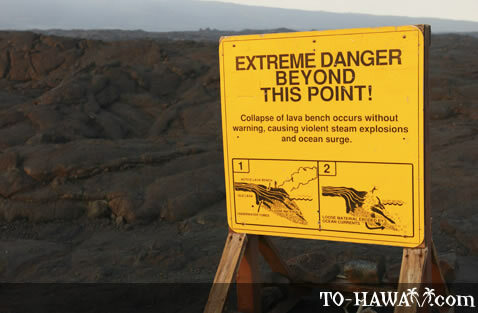 To name two another examples: An eight-year-old girl was hit and killed by a rockfall on the popular Pipiwai Trail near Waimoku Falls on Maui in May 2011. There have also been rockfalls at the popular Manoa Falls on Oahu. Since Hawaii is located in the middle of a vast ocean and the ocean bottom drops off quickly, the waves and currents can be very big and powerful. Certain beaches are hazardous year-round while others are dangerous at certain times of the year. It is always best to swim at beaches where there are lifeguards. If no lifeguards are present, look around to see if there are other people in the water. If there aren’t (not even local residents), there’s probably a reason why. Don’t swim at remote beaches alone. A general rule of thumb is that during the winter months (November to February), the waves are big on the north shores of the islands, while during the summer months (June to August), the waves are big on the south shores. But there are exceptions, of course. It is recommended to check the weather forecast to see if there are any high surf advisories. 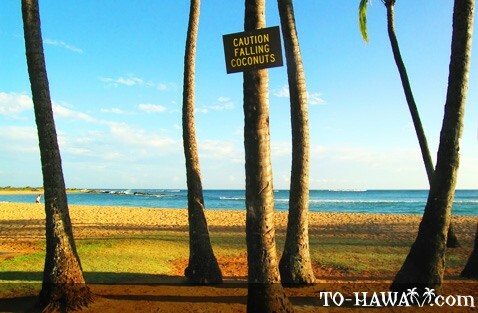 Example: Sandy Beach on Oahu is known as the “beach of broken necks and bones” for a reason. 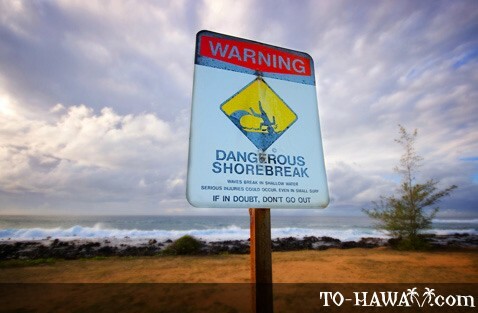 The shorebreak is very powerful here and many accidents have happened. There are red warning flags on the beach at every day of the year, warning beachgoers of the hazards. 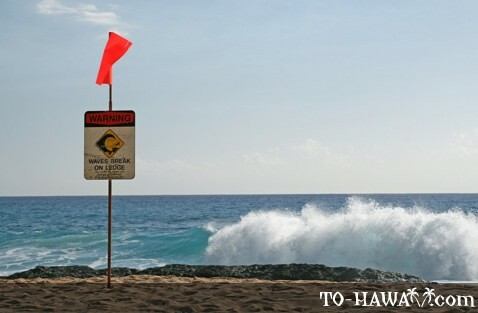 It is a beach for experienced bodyboarders and surfers only, and even they haven’t escaped serious injuries in the past. As with waves, strong alongshore and rip currents can happen any time of the year and at any beach. On beaches where there are lifeguards present, there are usually warning signs posted. On remote and unguarded beaches, you will have to make the judgment yourself. See if other people are in the water. Speak to local residents on the beach. Because it is very hard to tell if a current is present on a certain beach (especially if you’re not from the area), it is best to not enter the water at all, especially if you’re there all by yourself. If you’re swimming in the ocean and you find yourself in the middle of a strong rip current (one that pulls you further out and away from the beach), it is important to stay calm. Don’t try to swim against the current. It will only make you tired and in the end, the current will be stronger. Swim parallel to the beach and out of the current. As soon as the current gets weaker and lets go of you, then it is time to swim back to the beach. Many beaches in Hawaii have a coral reef, or if not a reef, then boulders on the nearshore ocean bottom. When the sun is shining and the water is clear, the reef and rocks can easily be seen as darker areas below the surface of the water. Swimmers and snorkelers should keep in mind that the coral reef is sharp. When the skin is wet, it is easy to get a cut and often times one doesn’t even feel it right away. The danger about reef cuts is that they can get infected. The coral reef is alive and bacteria can easily get under the skin if one gets cut. It is recommended to avoid swimming over a coral reef or near rocks. Also, wear reef shoes to protect your feet. In case of a cut, disinfect it as soon as you can. Seek out the help of a lifeguard. If no lifeguard is present, get some disinfectant at a nearby drug store or visit a doctor. 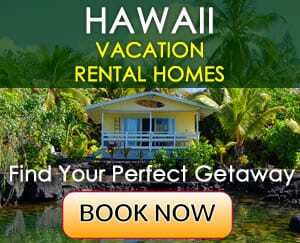 Example: Waikiki Beach on the island of Oahu – it is Hawaii’s most popular beach. Azure-blue waters and lots of activities are what Waikiki is known for. However, most of Waikiki Beach has a coral reef and especially during low tide, swimming here can be a bit tricky because the reef is very close to the water’s surface, leaving almost no leg room to make swimming movements. 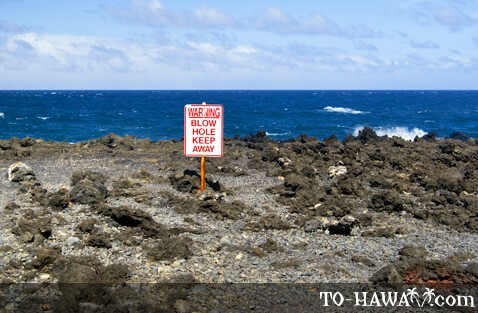 Tip: Seek out “holes” – sandy patches that break up the reef in several areas or swim at the man-made wall, which was built to protect a stretch of Waikiki Beach from currents and waves. It is located east of the Duke Kahanamoku Statue. Swimmers in Hawaii sometimes get stung by box jellyfish and marine invertebrates, such as the Portuguese Man-of-War. These stings can hurt quite a bit. For most people, it is a very unpleasant, burning sensation, but hospitalization is not necessary. However, some people suffer a severe allergic reaction after a box jellyfish or Portuguese Man-of-War sting and have to be hospitalized. The good news is that these ocean critters are fairly predictable. They usually invade the beaches about 9-12 days after a full moon. On the popular beaches where lifeguards are present, there are signs that warn swimmers if jellyfish are present in the water. If you want to swim at a beach that doesn’t have lifeguards, the first thing to do is check the calendar and count the days after the last full moon. Second, look in the sand near the water if you see any jellyfish (they look slimy and transparent, like a round, flat chunk of transparent Jello; the Portuguese Man-of-War are blue/purplish in color). If you see one, don’t go into the water. Carry a cell phone with you and know the name of the beach you’re at in case of an emergency. A first aid treatment for a box jellyfish or Portuguese Man-of-War sting is rinsing the affected area with either vinegar or a solution of 70% isopropyl alcohol. After that one can apply Safe Sea Jellyfish After Sting® pain relief gel, if available. If you don’t have any first aid supplies, rinse the sting in sea water. Don’t use freshwater as this will cause the jellyfish’s tentacles (nematocysts) to continue to release their toxin. For the same reason, do not rub the area and do not apply ice or hot water. Remove any tentacles left in the skin with a stick or a pair of tweezers. Wear gloves if you have them available. Eye stings should be irrigated with one gallon of freshwater. 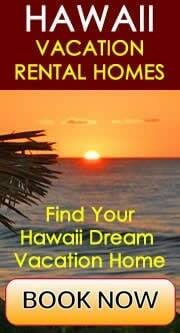 Many people are very passionate about surfing in Hawaii. After all, the islands are the place where the sport was invented. 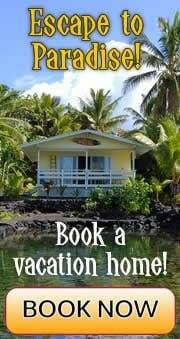 Many visitors like to get the taste of it by taking surfing lessons while on vacation in Hawaii. Novice surfers and bodyboarders often times don’t know the surfing rules – that just like when driving a car on the street – surfers actually have rules as well as to who has the right of way in an approaching wave. Unfortunately, there are others who don’t care for rules at all and who don’t like obstacles (novice surfers and bodyboarders) in their waves. So to save your skin, it is best to stay away from crowded areas and completely out of the water when the surf is up (over 5 feet – 1.5 m) because strong waves can push you below the water’s surface and onto a sharp coral reef. Also, crowded areas are best avoided because collisions have occurred in the past, leading to sometimes severe injuries. People have gotten into trouble by walking on rock walls that have been built to block large ocean swells. The large boulders can be very slippery because they are constantly exposed to waves washing over them and algae growing on them. It is unsafe to walk on rock walls that are close to the ocean. Sudden large waves can wash over them without you even seeing the waves coming. Accidents have happened at many such places in the past and people have been washed over by sudden waves and drowned. Stay away from rock walls and edges that are close to the ocean, even if the water appears calm and no matter how picturesque the area. 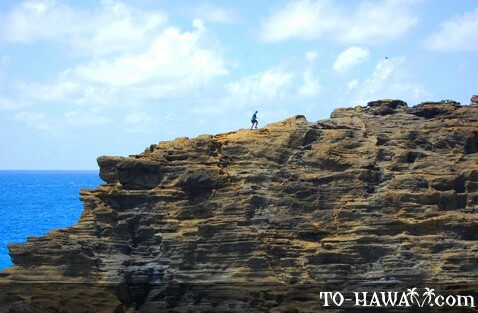 There are numerous amazing hiking trails on all the Hawaiian Islands leading to scenic lookout points. Some of the trails are quite narrow with a steep drop-off on one or both sides. Trails like this are for experienced hikers only. 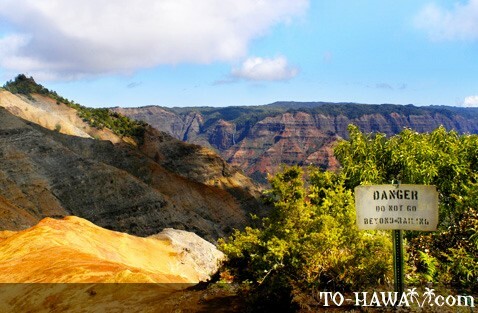 If you plan to hike in Hawaii, it is recommended to get a guidebook to see how each hike that you plan to do has been rated (to see the level of difficulty and whether it is frequently maintained or not). The evening before and right before your hike, check the weather forecast. Steep cliff trails can be dangerous if it has recently rained or if it is raining. They get slippery and if there are low clouds and wind, it can get inexperienced hikers into great trouble and danger. It is best to always hike with a buddy and to carry a cell phone and map with you. Also, let a friend or relative at home know which trail you plan to go and when you plan to be back (you never know, there may be no cell phone connection in remote areas, and if you get into trouble, it’s good when someone at home knows where you are).